As a kindergarten and special needs teacher (and a mom to 6 little ones! ), I have helped a lot of children learn how to hold a scissors correctly. It can be really difficult to teach a child how to hold scissors correctly but I figured out a fun and easy method that children love. It is really important to teach correct scissors correctly because you want the child to feel comfortable while cutting and secondly, if the child holds the scissors correctly it makes using the scissors and cutting well so much easier! To teach the correct way to hold a scissors, you can have the child pretend his/her dominant (writing/cutting) hand is a shark. Show the child how the dorsal fin of the shark (your thumb) is pointed upward and swimming around… Fins up and swimming! Now that the fins are up/the thumb is pointing upward, you are ready for the friendly shark! 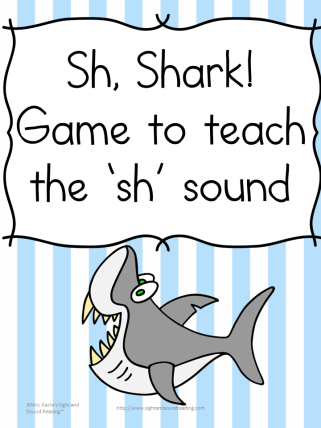 Now that the shark’s fin is up in the air, you want the shark to become a very friendly shark and start waving. 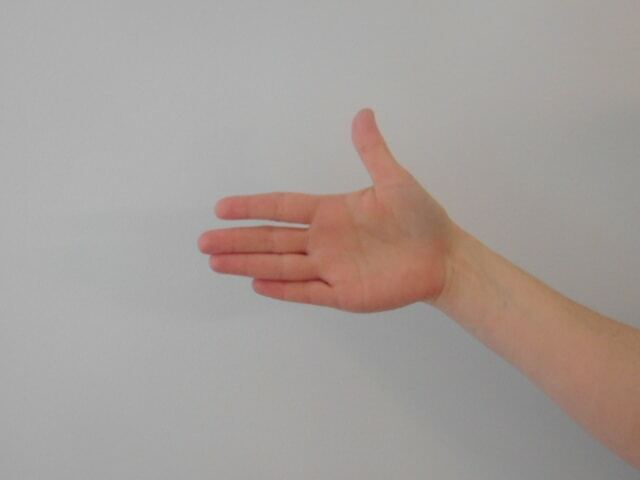 Take the four fingers (not the thumb pointed up) and have them start waving/curling. This is our friendly shark. Now the friendly shark needs to eat some food! Put the scissors in the child’s hands. Keep the fin up, though! The thumb stays on top! 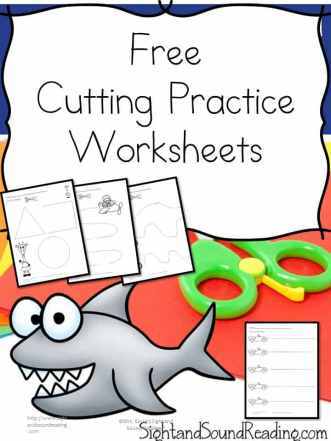 Have the child practice opening and closing the scissors like the friendly shark is waving. Now the friendly shark is eating! The friendly shark wants to eat the paper. Next, have your child cut paper. Always make sure the thumb is up. When it is time to turn, help the child turn the PAPER so that the child is always cutting in the same direction -away from them. 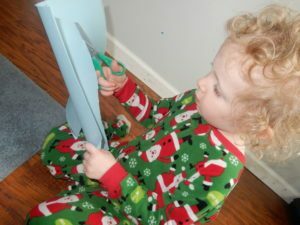 It is good to use card stock or thicker paper that is sturdy so that it is easier for the child to hold and turn the paper without it flopping around. When you are showing the child the scissors, show the child that the scissors has 2 holes: One that is round and one that is longer. (Make sure the scissors that you purchase has a hole that is round and a hole that is longer. Many times scissors that are sold only have 2 round circle holes. 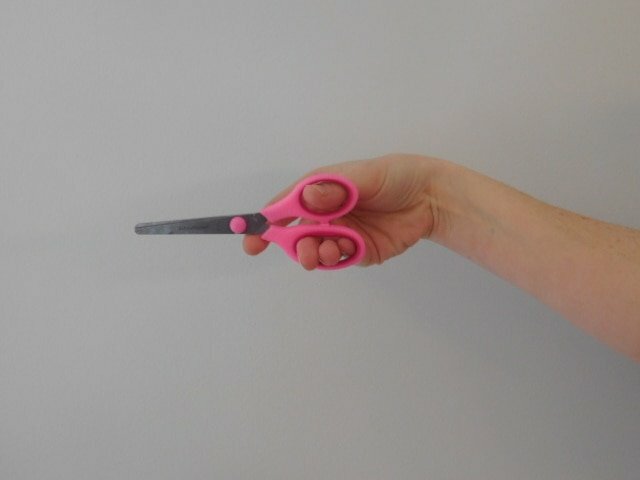 It is MUCH BETTER to have a scissors with one round circle hold and one that has a longer sized hole so that it is easy to tell where the thumb goes. They also sell scissors that have an extra hole to help with total control and so that the child knows where all the fingers go. 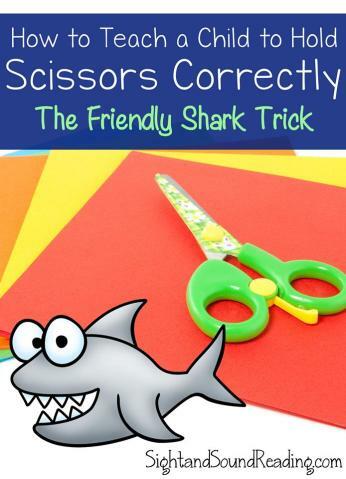 You can also find scissors that naturally bounce/retract when you cut so that when the child waves the sharks fins it naturally opens and closes the scissors. After your child has mastered holding a scissors correctly, we have some free cutting worksheets for you to help them master using scissors. Like I have said before, I recommend printing on card stock or a thicker paper so that it is not floppy and difficult to hold and cut. Enter your information into the form below and you will be automatically emailed a copy of our free pre-cutting skills practice worksheets. You will be added to our mailing list where you will find out about lots of fun free activities for kids. If you have any trouble with your download, email me at [email protected] -I am happy to help! If you prefer not to have to print the cutting sheets I provide, we actually have both of the following books at our home. They start out simple: just a straight line and then get more complicated as you go through the book. 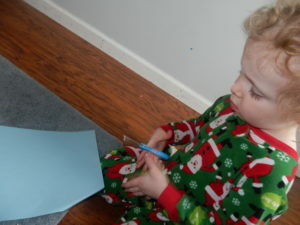 They are also great because the paper is thinker like card stock and so it is sturdy and does not flop when the child is holding it and trying to move it around to always cut away from themselves. My daughter has been loving her new kid scissors that we just bought a few months ago. It is fun to cut up lots of things…! Always a mess, but fun! I love this so much I linked to you in a fun little scissors practice activity I just posted. I hope it sends you a bit of well-deserved traffic. I have been a OT for 35 years. Have loved my job and all the details that go with it. When we teach kids to cut we are preparing them to write and effectively provide them with a grasp pattern to serve them for their entire life. (my oldest clients are 107 years old.). That is why we do use the dom. Thumb in the large hold, thumb up opposed to the index and 3rd digit in the second hole. 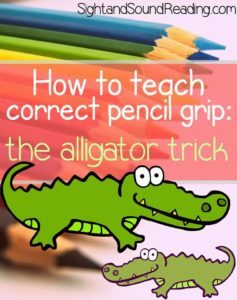 We use the 4th and 5th digits as stabilizers just as we should do in a correct tripod grasp pattern to hold the writing tool. Please think long and hard before advice is given out to parents. Thank you for your comment. I have always taught it this way but I will definitely re-look and rewrite so be more clear and from an OT perspective. Actually the correct way to hold a scissors is with the index finger out of the hole, and the middle finger inside. If you look at hair stylist scissors, you will see the hook on the top to separate out the index finger from the rest of the fingers in the hole. This is to better control the scissors. You can also find scissors that have a separate hole for the index finger and another larger hole for the middle, ring, and even the pinkie fingers. I just shared the link to this post in my new Letter C is for Cats post (published today) The cat headband we wore requires cutting and I thought the readers would appreciate knowing how to teach their little ones to do it! Glad I could help! My kids definitely loving making the alligator and keeping the thumb up. Thanks for sharing on your letter C post…and for stopping by! Thanks for the tips. I will need to start teaching my toddler to use scissors soon. You are so welcome! Hope you find the tips useful.